Mini seaside needlepoint to frame or make into the centre of a cushion. 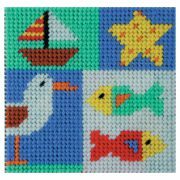 Seaside is a captivating design for a child who enjoys a trip to the beach, and makes a great handmade decoration for a beach hut or seaside home. 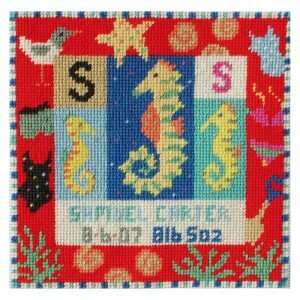 Seaside is suitable for all levels of stitcher including beginners as well as being a lovely quick project for more experienced stitchers. 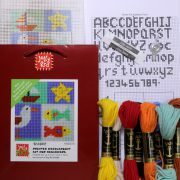 There will be plenty of spare wool to use if you intend to extend the design and personalise the border for a special occasion. 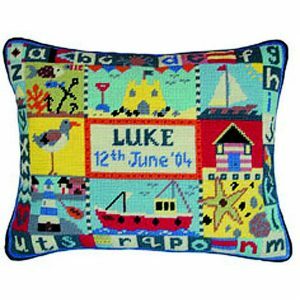 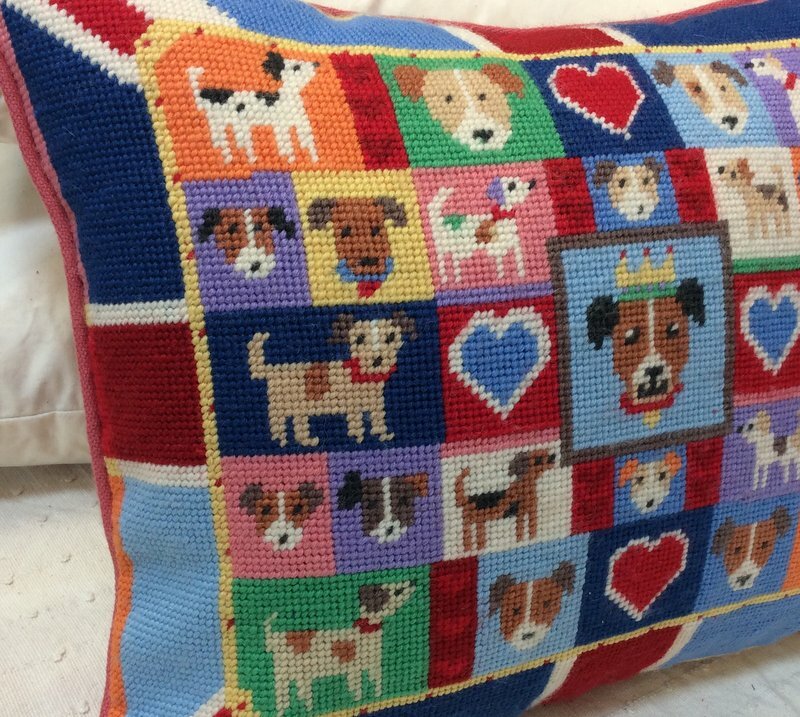 Once stitched, Seaside can be framed as a picture or used as the centre of a larger cushion. 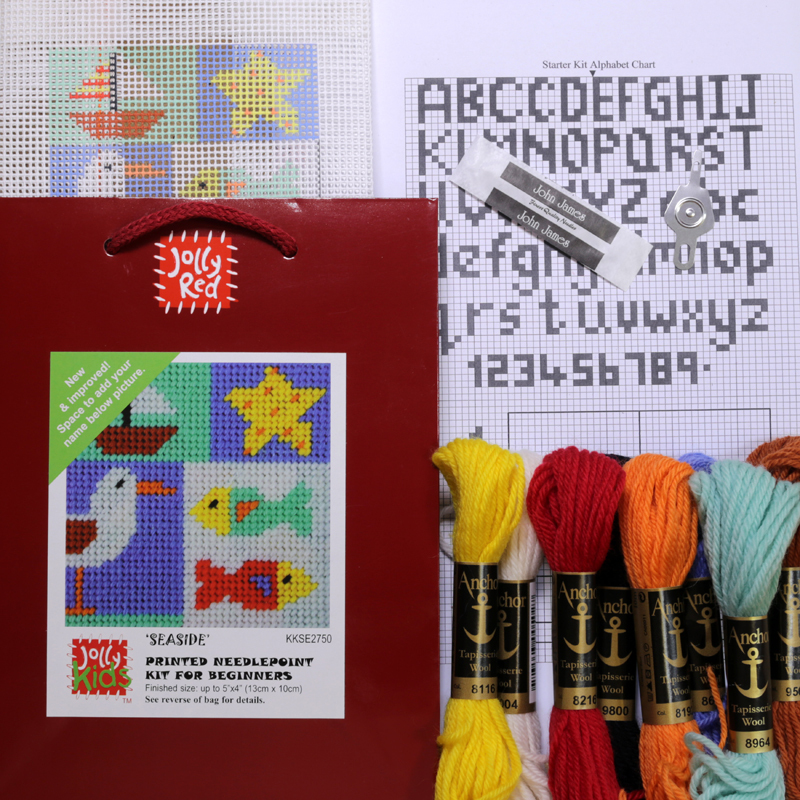 As a rough age guide, Seaside is suitable for children age 7+. 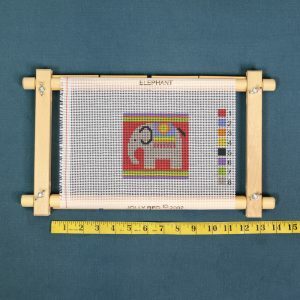 For Seaside, we recommend a CF129 frame but choose one of the larger frames with code ending in ‘9’ if you think you will stitch larger projects in the future.